Most of the time you may not realize how dirty your wallet really gets. Leather is a fairly versatile material and holds up well over time. 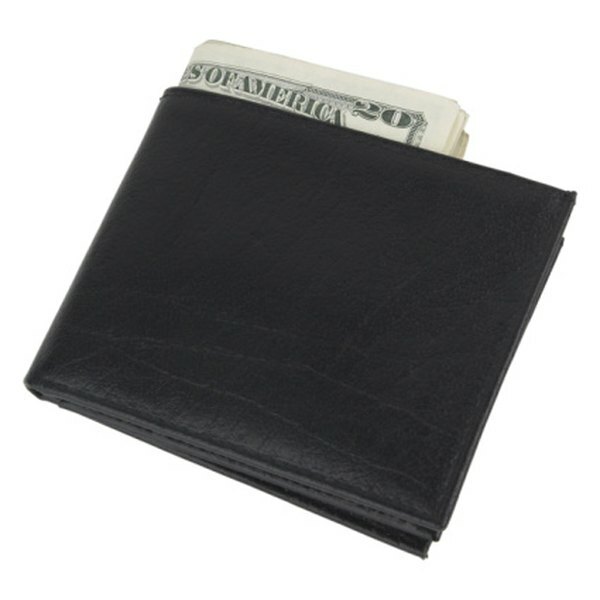 Most leather wallets also tend to be darker colors like black or brown, which help conceal dirt and stains. Some people even go years without ever cleaning their wallet once. However, leather wallets get just as filthy as your clothes -- it's just hard to tell. Empty out your wallet. Pull anything and everything that isn't attached to your wallet out and set it aside, especially pictures, which can get damaged in the cleaning process. Wipe down your entire wallet with antibacterial disinfectant wipes. Money changes hands constantly and is one of the dirtiest things you come in contact with on a daily basis. There is no telling what kinds of bacteria are growing inside your wallet. Apply leather cleaner to a soft cloth. Use the cloth to rub down your leather wallet. Rub the cloth in small circles. Scrub the folds and cracks of your wallet the best you can. Condition your wallet using the same cloth on a different spot. Apply the leather conditioner liberally to the wallet directly and let it soak into the leather. This will help rejuvenate and condition the old worn leather. 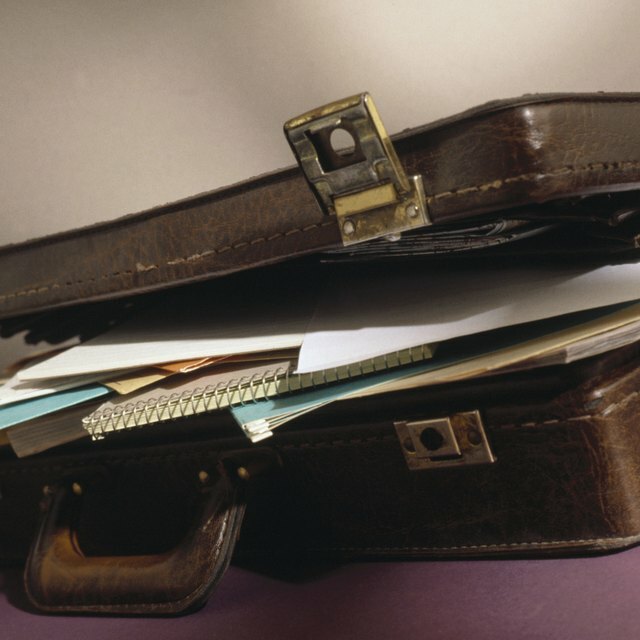 Replace all of your credit cards, cash, photos and other papers you may have after the leather has dried. Special Wallets: How to Clean a Leather Wallet Without Damaging It? What Causes Vinyl Pleather to Get Sticky?